Place chicken, onion, garlic and spices into a 6-quart slow cooker. Using a set of tongs or a large spoon, mix the ingredients together. Once mixed, pour in chicken broth. Set slow cooker to HIGH, cover and cook for 3 hours. After 3 hours remove and shred the chicken into bite-sized pieces. Return shredded chicken to the slow cooker and add tomatoes, beans, heavy cream and cheese. Cover and set slow cooker to the LOW setting. Let soup cook for an additional 45 minutes. Ladle soup into bowl and top with favorite nacho toppings. Serve with tortilla chips. 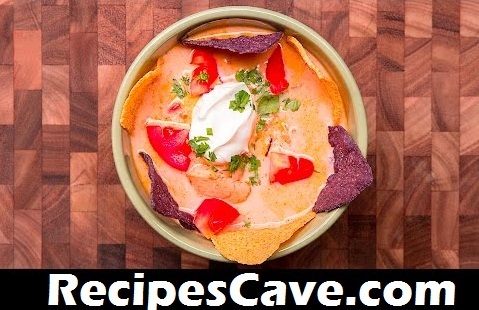 your Slow Cooker Nacho Soup Recipe is ready to taste.